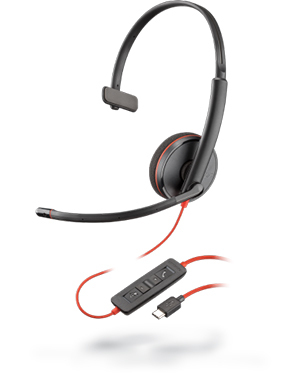 Plantronics Blackwire C3210 Monaural USB-C Headset is an excellent device that supports the communication needs of all types of companies and organisations. 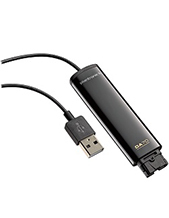 It can be connected to devices through USB or 3.5 mm plug, depending on the device that must be connected to the headset. It is an easy-to-deploy device that can be plugged and use without any hassle. Durable and comfortable to use, this headset is perfect for knowledge workers, from executive assistants to call centre agents. 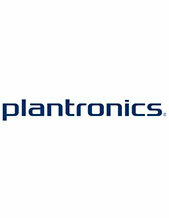 And to improve its efficiency and capabilities, it can even be used together with Plantronics Manager Pro. 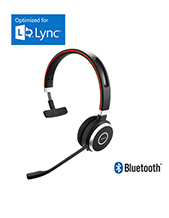 Plantronics Blackwire C3210 Monaural USB-C Headset is also perfect for multimedia applications, music, conference calls, and webinars, especially for people who are transitioning from PC telephony usage to these other level of communication. With the device features the best audio technologies and functions in the market, from noise-cancelling technology integrated in the microphone to PC wideband audio quality. This is how the company is able to provide users with crystal clear conversations that results to better productivity at work. Get this awesome product now by calling our representative at Australia wide 1300 131 133 today. Plantronics is a leading enterprise in the global market today that was founded in 1961, which is a period when the industry is filled with large and bulky headsets. The very next year after the company’s establishment, it started creating history and introduced the very first line of lightweight headsets. Currently, the company is headquartered in Santa Cruz, California, where it conducts its major operations while at the same time being supported by approximately 5,000 employed experts in around 80 countries in North America, Asia Pacific Region, and Europe, with the help of many retailers, distributors, and service providers. Plantronics made its first mark in history when it released the first lightweight headset in the year 1962 and became responsible for the headset used by Neil Armstrong in 1969 when he set foot on the moon. These events became the pedestal for the standard of quality that the company used up to the present. Headsetsonline Pty Ltd is an Australian audio and sound electronics enterprise that offers a comprehensive product portfolio of high quality products and solutions sourced from Australian distributors and not grey imports. The company gets its stock from reliable distributors in the country, which ensures that all of them are Australian standards certified. In addition to that, the company also offers warranties that are guaranteed to be applicable all over Australia. Headsetsonline also makes sure that it is able to cater to the customers’ needs conveniently and efficiently, which comes in the form of its convenient online store at Headsetosnline.com.au, a secured and enterprise-encrypted website that uses the green URL HTTPS address bar and GeoTrust True Business ID with Extended Validation. And to further add to customers’ security, the company also uses 2048-bit root encryption and 256-bit identity authentication. It even offers flat shipping rates all over the country, without having to consider how big the package is to be delivered.